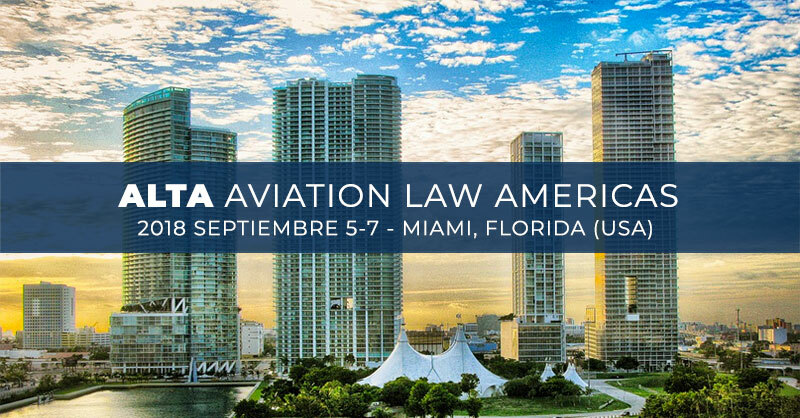 Our partners Sergi Giménez and Jaime Fernández will once again attend the conference “ALTA Aviation Law Americas“, which this year celebrates its 12th edition in Miami. This is the premier legal conference of the aviation industry in Latin America, and it is attended by the most relevant law firms, industry experts and representatives of the airlines which operate in the Americas. Together with other well-known players of the legal and aviation fields, Sergi is one of the voices in the panel devoted to “Leasing and Financing”, which will deal with current issues on the leasing and financing of aircraft and equipment in Latin America.